MOSCOW (Sputnik) — Delivering a speech in the Iranian parliament, Hassan Rouhani said Sunday that Tehran's missile program is in compliance with all international regulations and does not violate UNSC resolution 2231, which endorses the JCPOA. "You should bear in mind that we built the missile, are building it and will continue to do so," Rouhani said days after the US House of Representatives overwhelmingly approved a new package of sanctions aimed at Iran's missile program, advancing the legislation to the US Senate. If adopted this bill will impose new sanctions on individuals and entities contributing to the production of conventional weapons in Iran, including missiles. Commenting on Trump's recent claims about possible unilateral withdrawal from the JCPOA, the president said that the incumbent US administration showed that it had "lack of commitment to an international agreement" and did not respect negotiations and accords, adding that such country cannot be trusted. 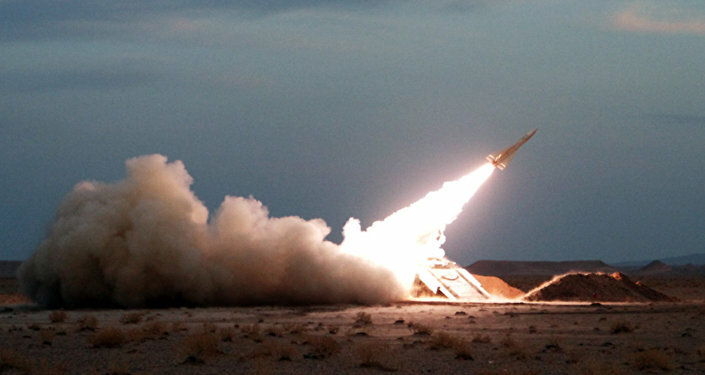 "The enemies should know that violation of any agreement will be detrimental to them, and the Islamic Republic of Iran will give them a decisive answer," Rouhani also said, emphasizing that Tehran will produce any weapon needed for defending Iran's territorial integrity and nation and would not hesitate to use it if there is a necessity to protect the country. Donald Trump earlier this month refused to recertify Iran's compliance with the JCPOA, citing violations of the spirit of the agreement and threatened to trigger US withdrawal from the agreement despite the fact that the International Atomic Energy Agency confirmed that Tehran is adhering to the deal. Iran's adherence to the deal was also confirmed by Director General of the International Atomic Energy Agency (IAEA) Yukiya Amano who visited Tehran on Sunday. At a joint press conference with President of the Atomic Energy Organization of Iran (AEOI) Ali Akbar Salehi, he stated that all the nuclear-related commitments made by Iran under the JCPOA are being implemented. Amano also added that the JCPOA is a "significant gain for verification." The JCPOA was signed in July 2015 by the European Union, Iran and the P5+1 group of nations comprising the United States, Russia, China, France and the United Kingdom plus Germany. The nuclear agreement stipulates a gradual lifting of sanctions imposed on Iran in exchange for assurances that its nuclear program would remain peaceful.